THE SCENE: Considering his deification nowadays it’s hard to believe that Miles Davis was once considered washed up. In 1974 he was several years into his “electric phase”, a modern sound that got him booked into larger rock halls but did not reconnect him with the black audience. 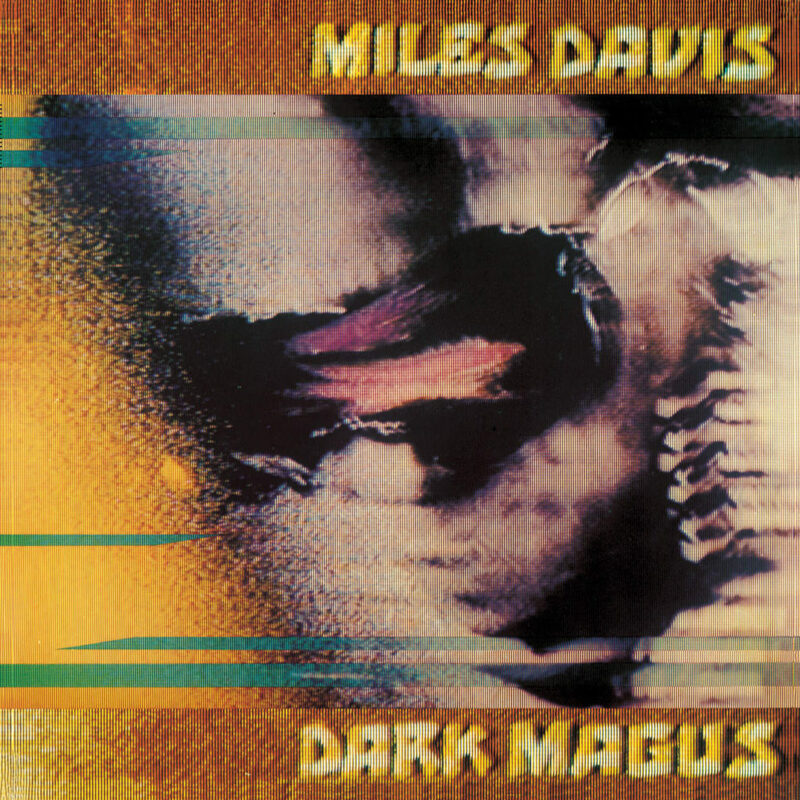 To fix that problem he added a major dose of funk to his songs, culminating in the recording of Dark Magus. Miles stopped writing tunes at this time, preferring to bandlead through osmosis and letting the songs flow through the process. He wrapped his new sound around distinct African rhythms, a saxophone player and three, count ‘em, THREE guitarists with a fistful of fuzz pedals. The result was unlike anything else in the Davis canon. Mean-spirited, brutal, demonic, it’s a harsh trip into psyche of a man at the end of his rope. Distorted guitars rage into the atmosphere, adding a raw heavy metal vibe. The songs don’t really start and stop as much as they transform into different amalgamations of riffs and beats. “Moja” features an oppressive dissonance anchored by a steady cowbell, but that cowbell helps lead the song through its twenty-four minutes of tonal displacement. Mysterious and muscular, even his trumpet tone had changed from his early ultra-cool mode to an insistent mosquito honk, rattling off brittle bursts in “Tatu”. Dark Magus was recorded live at Carnegie Hall, a stately room that usually features classical performers and public speakers. Why this was the place to unleash the shrill atonal keyboard mashing of “Wili” is anybody’s guess. Then again, Miles was on heavy diet of Percodan and cocaine at the time, so decision-making wasn’t his strong suit. THE FALLOUT: Critics hated it. Fans hated it. His own label hated it. In his own autobiography Miles fails to mention it. Dark Magus was so heavy on his soul that he only recorded two more albums before retiring from performing altogether. From a modern standpoint Dark Magus is quite tame, as music has actually gotten harsher, faster and more acrid since its debut. If you’ve ever wondered what Metallica would sound like as an improv group, this is your album. NEXT WEEK: The Jungle Brothers get all Sybil on us. there’s some amazing stuff on this album. different. weird. way ahead of its time. but pushing boundaries and stuff. A truly amazing album that delves so far into the souls darkest places it can leave one feeling dazed. Easy listening this 'aint.